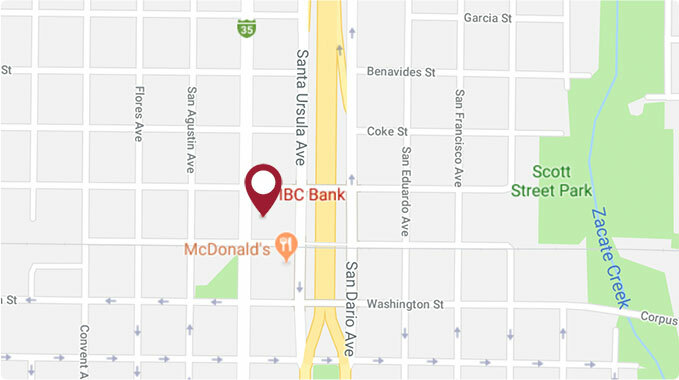 Commerce Bank Saunders Branch is a member of International Bancshares Corporation (NASDAQ: IBOC), a $11.8 billion multi-bank financial holding company headquartered in Laredo, Texas, with over 185 facilities, more than 285 ATMs serving about 89 communities in Texas and Oklahoma. Commerce Bank's commitment to "We Make It Happen" reflects the bank's dedication to the growth and success of both the community and customers it serves. International Bancshares was ranked 19th on Forbes' prestigious list of 100 Best Banks in America in 2018. Commerce Bank has been serving the Laredo community since 1982 with a retail branch network of four locations. If you are a Commerce Bank customer, please visit one of our branches or call us at (956) 724-1616, to find out more about our products and services, and allow us to assist you in answering any questions.